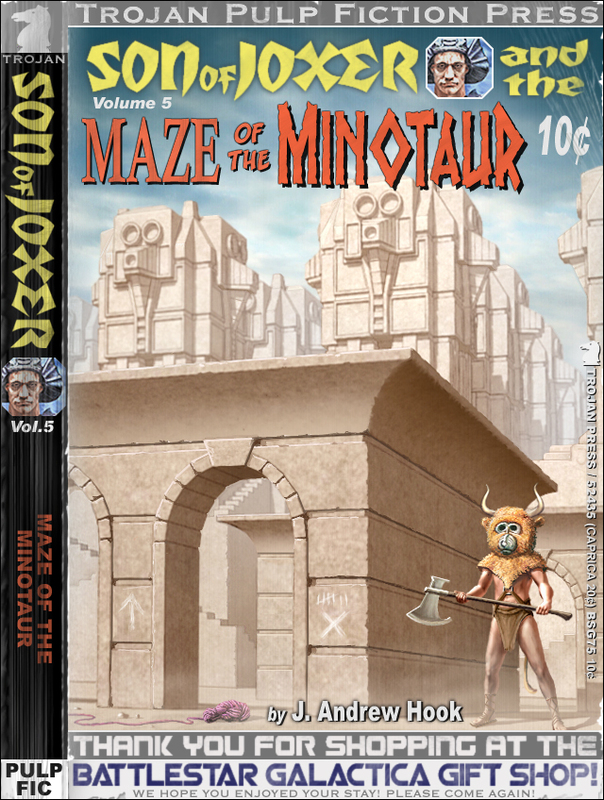 Son of Joxer and the Maze of the Minotaur! Now on location in Punta Cana! Having completed his First Labour and won the heart of princess Adrian, Son of Joxer returns to the isle of Crete to seek an audience with King Minus and claim Adrians hand in marriage. Astonished to see his daughter alive and well again, King Minus makes good on his promise to betroth Adrian to Joxer, but insists that he complete the final three labours before laying claim to his conjugal rights. Unbeknownst to all, the good King Minus had enlisted King Argos to kidnap his daughter and sacrifice her to the Kraken in the first place, thus he hadnt actually given much thought as to what the final three labours might be. Eager to rid himself of yet another pretender to the throne, King Minus tells Joxer that the Second Labour is to kill the vicious, man-eating Minotaur beast which lies deep within the maze of temple ruins at the heart of the island. Though betrothed to a beautiful princess, Son of Joxer has not yet abandoned his relentless death wish. In order to put an end to his immortal wanderings, he readily accepts the Kings challenge. Eager to consummate her nuptials, princess Adrian spins a mighty ball of purple yarn to aid Joxer in his quest to navigate the Maze of the Minotaur. Joxer brings along a piece of chalk to mark his path just in case he runs out of yarn. But the main reason most who enter the maze never return is not that they cant find their way to the center of the maze, but rather that they can never really leave the maze without becoming horribly disoriented. Several rows of stone Daggit pillars create a veritable forest of mocking faces, each pillar perfectly identical to the next, so that it becomes extremely easy to loose ones bearings amongst the ruins. That the ravenous Minotaur roams the maze seeking out fresh victims to add to its roster goes without saying. 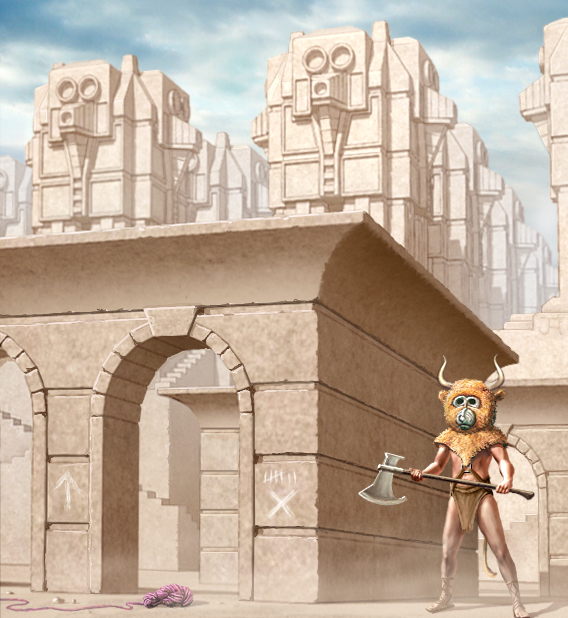 building the Minotaur's Maze and were subsequently buried amongst the ruins.